What is a Printable Registration Form? Where should I hold my race? Do I need a permit for my race location? Can you help design my course & handle permits? How does chip timing work? How does hand timing work? Which timing method should I use for my race? What is the purpose of the chip? Do I have to wear it? Do I have to return the chip? Should I tear off the tag at the bottom of the bib number before the race? My name/age/gender is printed incorrectly on the bib number – what do I do? I ran the race but am not on the results – what do I do? Active.com is a website that allows people to search for races in their area and register for a race online 24/7, 365 days a year using a credit card. A customizable race page is created on Active.com (either by the Race Director or Elite Race Management) with basic event information. People can sign up for the race by inputting their information (name, e-mail address, date of birth, etc. ), and they receive a customized confirmation by e-mail. Active.com issues checks twice a month for the registrations that take place during that month, and checks can be mailed directly (and made payable) to any organization desired. We then download the participant information when registration closes, and use it to manage packet pickup and the timing of the race. A printable registration form provides an alternative for those who prefer not to sign up online, or those wishing to pay by check. The printable registration form contains all of the basic race information, as well as a form to capture the participant’s information and a waiver to be signed. The registrant then mails the form to Elite Race Management, or brings it to packet pickup to register. The location of a race depends on several factors including the expected number of participants, type of race (trail vs. road 5k, triathlon, etc. ), and the budget of the host organization. Facility rental fee, permitting, and police assistance can. A permit may be needed depending on where your race is being held. If roads must be closed or traffic patterns altered, you will need a permit as well as coordination with law enforcement. We can help determine if a proposed site will require permits, and can handle the filing of these permits for you. Yes we can, and we do for many of our clients. Whether you have an exact location in mind or are open to suggestions, we can identify a suitable race location, map out a course, and handle any permit issues you may have. Without getting too technical, chip timing allows a runner to wear a small transponder on their ankle and have their time recorded when they pass over rubber mats that have been placed on the ground. Usually, a set of timing mats is placed at the start line, and another set is placed at the finish line. When a runner passes over the start mats, their unique starting time is recorded, and when they pass over the finish mats, their finish time is recorded. This data is entered automatically into our timing software, and we are able to generate exact results for each person whether they started in the front of the pack or the back. Hand timing utilizes the perforated tab at the bottom of bib numbers, along with a special stopwatch and computer program. When the race starts, the watch is started and everyone (regardless of when they cross the start line) receives the same starting time. As runners finish the race, a time is recorded on the stopwatch for each participant and they are funneled into a chute where they are kept in order and their bib tags are pulled. To tabulate the results, the list of times from the stopwatch and the stack of bib tags from the runners are matched up in our software to generate results. Choosing a method or race timing can seem difficult, but we are more than happy to break down the pros and cons of each method. Factors such as number of expected participants and the budget for timing usually dictate which method is used. The chip transmits a signal to the timing equipment that a runner has passed over the mats, and the equipment records the time of day that the passing occurred. This data is then interpreted to determine start/finish times, as well as transition times for multisport races. If you do not wear a chip, or do not wear the chip where you are instructed, there is a good chance that you will not receive a time for the event. If you receive a chip with a neoprene strap (most commonly used for triathlon/duathlon), the strap must be worn around the ankle. 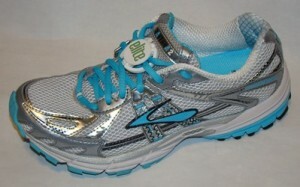 If you do not receive a neoprene strap, the chip should be attached to your shoe either by zip ties (when provided) or tied directly into laces as seen below. Yes. Your bib number signifies that you are a participant in the event. Race photographers will use your number to identify you. Course officials will use bib numbers to determine who is allowed to be on the course and who is not. As you’ll read below, your bib number also contains a pull tag that is use to score hand-timed races. So wear it! No! The tag at the bottom of the bib number contains your name, age, gender, number, and other race information. When you cross the finish line in a hand-timed race, your tag is pulled so that we can record your finishing place and enter this information into our scoring software. If you pull this tag off before the race, there is nothing for the finish line staff to pull and they must create a placeholder for you. This backs up the chute and delays the processing of results. Do everyone a favor and DON’T PULL YOUR TAG BEFORE THE RACE! If you notice an error on your bib label, please let an Elite Race Management staff member at the registration table or finish line know. We can easily change your information in our system so that the results will be accurate. If you registered for, ran in, and finished a race we timed, you should be on the results! If you are not, please shoot us an e-mail at info@eliteracemanagement.com and let us know. We will figure out what happened and respond a.s.a.p. Elite Race Management is a full service timing and event management company based in Baltimore, MD catering to the running, cycling, and multisport community. Race Directors - From race creation and planning to permits and premiums, ERM can help you deliver a memorable experience for participants. Contact us to find out how easy it can be to host your next race! © 2016 Elite Race Management. All Rights Reserved. A full service timing and event management company.